Killing off the hazardous flagship is just the beginning of what has become the brand's biggest crisis to date, say industry experts. Following Samsung's decision to permanently cease production of its Note7 model, Campaign Asia-Pacific spoke to marketing-communications experts to distil this list of next steps. A big chunk of Samsung’s energies must be poured into finding out exactly what has happened and what faults caused so many Galaxy Note7 handsets to catch fire. This information must then be made public, with regular updates for consumers about the investigation. The crux of the crisis, said Samir Dixit, managing director of Brand Finance APAC, is Samsung’s botched attempt to address the problem with its device exchange programme, which in turn utterly failed as replacement devices also started combusting. 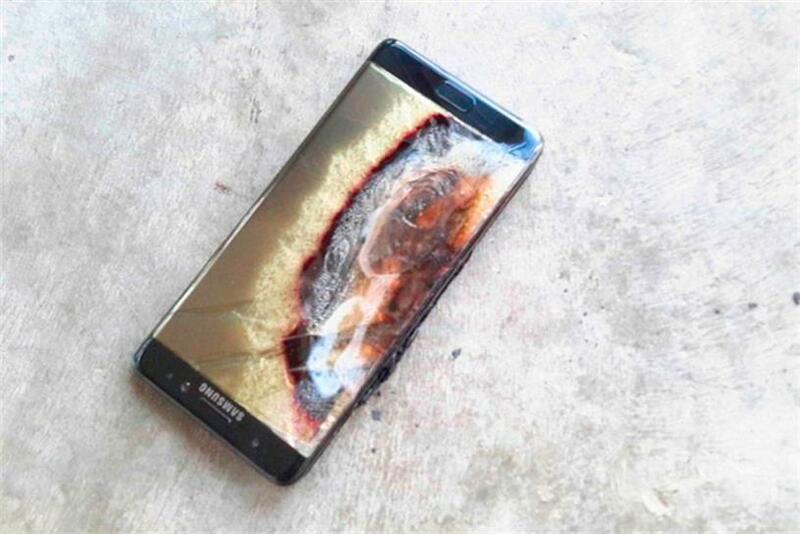 "It seems Samsung never looked at the core of the Note7 problem, they just tried to cure the symptom, which was the battery exploding," Dixit told Campaign Asia-Pacific, referring to a software update Samsung released to try and alleviate the battery issue by intentionally under-charging the battery. This is a "mammoth task", said Dixit, but a crucial one for Samsung to regain any credibility. Some 2.5 million handsets were distributed through dozens of partners worldwide. And while major aspects of the crisis are now out of Samsung’s hands, one way to restore faith and show the company is taking things seriously is to remove all Galaxy Note7s from the public domain. Currently news of the phone’s failure, and hence Samsung’s failure, is plastered everywhere, nowhere more so than airports, Dixit said. "Every single flight anywhere in the world right now says ‘no Note7s’," he said. "It’s a very grim, constant reminder of the failure that continues to drive the damage to the brand. I mean, the Note7 has become part of every onboard safety announcement! Samsung has to get that announcement stopped, but it can’t do anything until it’s got every handset back." On top of the failure of its devices and the botched exchange programme, Samsung has failed to offer clear, coordinated guidance for owners in different markets, which has severely weakened consumer trust. "They still don’t have a solution in Singapore, for example, while other markets are offering full refunds," said Lars Voedisch, managing director of PRecious Communications. Negative chatter about Samsung on social media has skyrocketed from 6 percent to almost 40 percent in the last few weeks, according to Dixit, with the inevitable gallows humour turning the company's crisis into a joke. Taking a selfie with a Samsung Note 7 brings new meaning to the word "photobomb"
"They need clear instructions to keep Note7 owners as Samsung customers," Voedisch said. "Also, from the wording of their statement [on Samsung Singapore’s Facebook page], I have not yet seen them openly say sorry. The wording is very functional, and consumers need a sincere apology." Consumers should then be over-compensated, whatever the cost, Voedisch said, to maintain their loyalty and trust—vouchers, a free extra device—together with strong, transparent assurances that Samsung will not make this mistake again. "It doesn’t help to just give my money back, I’ll just take it somewhere else," he said. "You can’t advertise your way out of a crisis, but Samsung should look to rebuild trust in its other brands. Sales will drop, but it’s crucial to move angry consumers to neutral or even positive." The damage Samsung suffered after a string of telecoms companies and retailers worldwide ceased sales of the Note7 will take time and effort to mend. This is exacerbated by Samsung likely needing its partners to expend money and effort to get hold of all Note7s. "The company has to convince its sales channel partners to trust it again," Voedisch said. "Make the telcos feel appreciated, apologise and maintain that access to the market." Given Samsung’s long history in successful products before the Note7, and the continuing (for now) strength of its Galaxy handsets, this may be a little easier than some of its other challenges. The Note7 crisis has wiped a colossal US$20 billion off Samsung’s market capitalisation, with its stock dropping by more than 11 percent in the past two days. Of the company’s US$83 billion valuation, around US$60 billion is attributed to its smartphone business, Dixit said. With estimates suggesting Samsung will need at least 18 months to see off this crisis, there is a lot of room in the market for competitors to capitalise on Samsung’s struggle, particularly Android operators like LG, Xiaomi, Huawei and the new Google Pixel device, not to mention arch-rival Apple. The company must restore consumer and market confidence as quickly as possible to mitigate any loss of market share. Talk of Samsung accelerating its product release cycle to fill the revenue gap left by the Galaxy Note7 is premature, said Dixit, particularly in light of speculation that a rush to release the Note7 (in order to compete directly with Apple’s iPhone 7) may have led to less rigorous testing and thus contributed to the product failure. "A new device could compound the problem," he explained. "There will be unbelievable scrutiny, and if just one button or function doesn’t work, that’s it. Everything could go against Samsung." Samsung is awesome!! I mean, I used to have to carry a phone AND a lighter. Here are some other relatively recent examples of safety-related product issues and the impact they had on the companies involved. After over 30 years as one of India’s favourite noodle brands, Maggi is pulled from the shelves. As brands get called out for food that doesn’t make the grade, firms in Asia must improve processes to win confidence. Contamination scandals are affecting not only Fonterra, but the New Zealand brand itself, which relies on its image of pure untrammeled beauty for tourism and trade. Like its peers, McDonald's might be seen as a victim in the expired-meat saga that began last week in China. But in Hong Kong, the company violated several rules from the crisis-management playbook and will now have to rebuild its image. PR experts from the region weigh in on how the fast-food giants can regain trust after a TV sting revealed expired meat in their supply chains. Japanese cosmetic brand Kanebo likely won't be the only skincare brand to suffer following a series of product recalls over allegations of skin damage from the use of whitening products. Johnson & Johnson, the multinational manufacturer of pharmaceutical and consumer packaged goods, lost its license to make cosmetics at a plant outside Mumbai last week, but has made no response beyond a simple statement. No amount of simple public relations can solve KFC's questionable-food crisis, which has been too long-drawn and requires the brand to fix its less-than-exemplary supply chain process, industry commentators say.